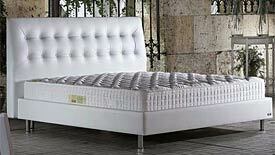 You spend up to a third of your entire life asleep, so it's important that whatever bed you choose for your North Cyprus home is right for you. 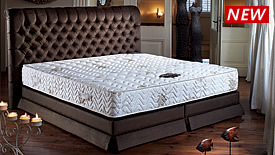 Our range of beds provide proper support for your body while sleeping, without sacrificing one inch of style and sophistication. 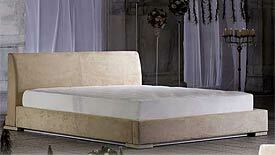 In our Northern Cyprus furniture showroom, we've already made the beds, so you can lie on them! Try the raised podium and black midnight elegance of Daphne, or the regal curves and sumptuous padding of the Gondola bed set. Snuggle up to your loved one on the romantic circular Dream bed, or recline in comfort with our Panna split mattress electric beds. 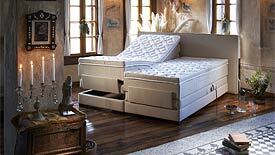 Our Lefkosa furniture store can only hold so many beds, but you can order a range of colours and styles in-store. What's more, we can have your colour and model in stock just 10 days after you order it - no long waits for the bed of your dreams! 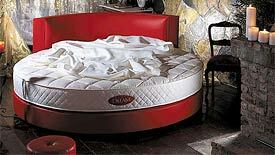 We don't sell cheap bed sets, but we do sell quality bed sets at a discount! Call us for details of our cash and full payment discounts, or our easy repayment terms. Our furniture store in North Nicosia (Lefkosa) is easy to find. We've even got top quality pillows for sale in our North Cyprus furnishing store; come and see us soon!